Here at Foodbeast, two of our favorite things are In-N-Out, and fried foods, so when someone brings the two together, it's always a good time. Jessica Pinney of the Cooking With Janica blog, took a classic Double Double from In-N-Out and deep-fried the hell out of it. Aside from the Double Double, all she used was a couple of eggs, panko flakes, and frying oil in this epic mess. 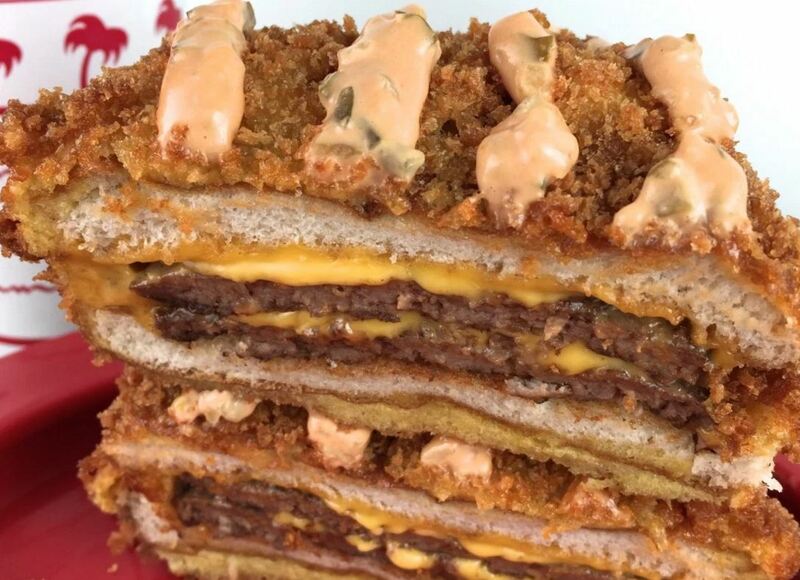 Funny enough, Pinney said she got her inspiration from the food-frying fiend from Peep My Eats, who among other things, deep fried a Big Mac into submission once.